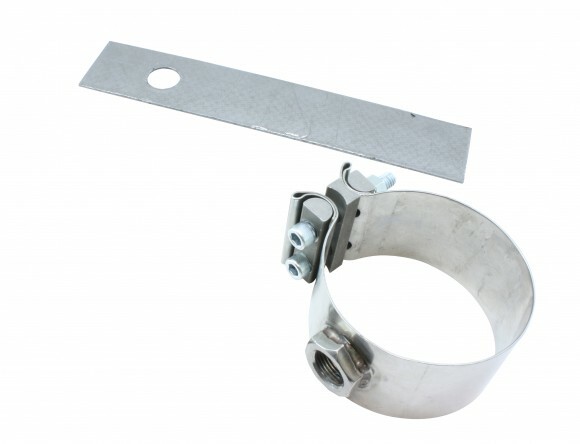 AEM – No-Weld O2 Sensor Mounts! AEM is pleased to introduce its No-Weld O2 Sensor Mount, which enables users to mount an oxygen sensor without having to weld a sensor bung onto an exhaust. The AEM No-Weld Sensor Mount removes the need to weld a sensor bung onto an exhaust when installing an O2 sensor for a wideband controller, gauge, etc. Simply drill a hole in the exhaust, install the gasket, and bolt the clamp. It’s that easy! The kits come in 4 different sizes to accommodate exhausts from 1.75” to 3.5” in diameter. The mount will work with virtually any popular performance wideband sensor. This is the ideal solution for DIY enthusiasts who do not have access to a welder and who are installing a product such as an AEM Wideband UEGO Gauge, Inline Wideband UEGO Controller, or wideband air/fuel product from other manufacturers. It’s also a great time saver for professional shops looking to improve throughput. * The most affordable, hassle-free mounting solution available. * No more welding. Just drill a hole, install the gasket and clamp and go! * Available in 4 different sizes to fit exhausts from 1.75” to 3.5” in diameter. * Clamp band is constructed from 304 stainless steel. * Gasket is a graphite material with a stainless steel foil support and is heat resistant to 2500 degrees F.
AEM Electronics has released a new high volume fuel rail for the 00-05 S2000. 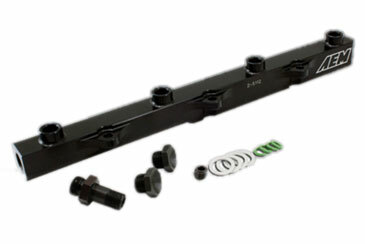 This new fuel rail requires no additional parts for installation and works with the OEM fuel pressure regulator or an AEM adjustable fuel pressure regulator. These will be in stock at Turn 14 by the end of next week. 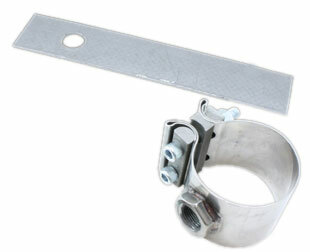 Along with the new fuel rail AEM has also released a No-Weld O2 Sensor Mount. This simple and affordable product will allow DIY customers to install an O2 sensor into their exhaust with only a drill. Selling the popular AEM UEGO wideband gauge(30-4100) just got easier!